Some myths and urban legends just never die. They endure denials, resist succumbing to the truth, are impervious to reason, enjoy intergenerational perpetuation, and continually subsist on the rank ignorance that they cultivate and circulate. One such myth in Nigeria’s political discourse is the notion that northerners are so cocksure that the right to exclusively rule Nigeria in perpetuity is their manifest destiny that they have fossilized this sentiment in a license-plate slogan, which is putatively “born to rule.” Popular narratives in Nigeria’s south have coalesced around the notion that this purported “born-to-rule” license-plate slogan belongs to Sokoto State, the cultural and symbolic epicenter of the Muslim north. This narrative came up several times in my social media news feeds in the past few weeks. As you can guess, it is activated by the unprecedentedly phenomenal rise in General Muhammadu Buhari’s popularity and acceptance in several hitherto unthought-of spectra of the Nigerian society. Several of Buhari’s critics in the Nigerian social media commentariat attribute what they think is the man’s egomaniacal obsession to rule Nigeria to a northern “born-to-rule” mentality and cite Sokoto State’s alleged license-plate number catchphrase to support their case. The persistence of this narrative caused me to wonder in what kinds of social circles this myth still enjoys credibility since most of the people who peddle it on the Nigerian social media sphere are really young people with very little, if any, cultural and social capital. 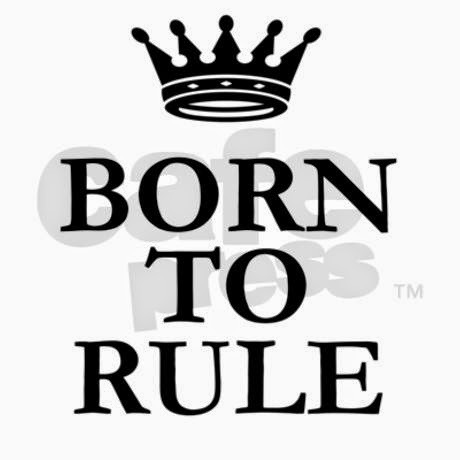 So I searched “born to rule Sokoto Nigeria” on Google to see what comes up. I found scores of historical and contemporary references to the claim that Sokoto State’s officially sanctioned license-plate catch phrase is “Born to rule.” I found the claim in books, newspaper articles, Internet discussion forums, and so on. 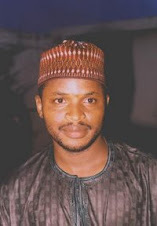 I found a particularly egregious one in an opinion column by an overweeningly self-important man by the name of Ochereome Nnanna who claimed in a June 2, 2014 article in Vanguard titled “North’s lovers and deceivers” that “Sokoto State actually has ‘Born To Rule’ as its state slogan, just as we have ‘Centre of Excellence’ as the motto of Lagos State.” Notice he said “actually.” Talk of arrogance in ignorance. Several websites, including Wikipedia, identify Sokoto State’s slogan as “Seat of the Caliphate.” If the man has never seen a car with a Sokoto State license plate all his life, a simple Google search would have been enough to cure his insularity and provincialism. I guess he didn’t want pesky facts to get in the way of a good bigoted narrative. First, this is a transparent lie. Second, notice that the man couldn’t even mention the putative “uninspiring inscription” that has replaced the alleged initial “Born to Rule” slogan. Yet the author of these claims appends “Ph.D.” to his name and makes assertions with the certitude of an expert on the subject. Anybody who bothers to find out will know that at no point in its history has Sokoto State ever had “Born to Rule” as its state slogan. This is easy to verify since license-plate state slogans started only in the late 1990s in Nigeria. Sokoto State’s official license-plate catchphrase from the beginning was and still is “Cibiyar daular usmaniyya,” which is Hausa for the nucleus or the navel of the Usman Danfodio caliphate. 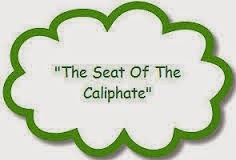 The English version of the slogan has been rendered as “Seat of the Caliphate,” which I think is a great idiomatic translation. How did this ludicrously odd, easily challengeable urban legend take roots in Nigerian political discourse for so long? But, first, how did it start? A lot of people don’t realize that it started from a widely sold Nigerian current affairs pamphlet that, among other bits of information, listed states in Nigeria and their number-plate slogans. The author of the pamphlet apparently didn’t know what “Cibiyar daular usmaniyya” meant, decided against asking any Hausa speaker for help, and chose to translate the phrase into English as “Born to Rule.” And southern Nigerians who have never seen a Sokoto State license-plate number assumed that the author was right. That’s how the falsehood was inscribed in the popular consciousness of southern Nigerians. Now, it has acquired a life of its own and is almost impossible to kill. Well, the “born-to-rule” urban legend is getting a new lease of life because of the passions of the politics of the moment, but it behooves those of us who earn a living by educating people to offer a robust and systematic rebuttal to this farcical lie. It won’t kill it, but it will at least offer a counter narrative for people who seek the truth.